Students at Toi Ohomai Institute of Technology have worked with Interpine to look at potential of #UAV / #Drones and remote sensing to help with pest control operations. 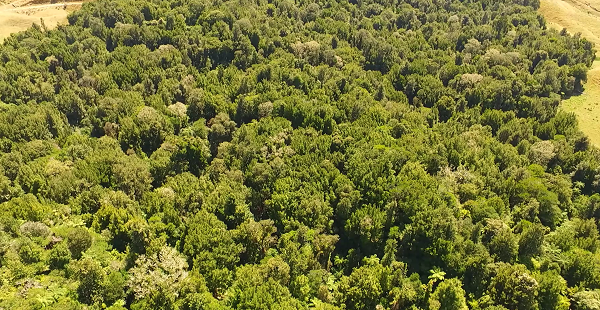 UAVs flown over forests and remnant bush sites, particularly those not currently receiving any pest control, to record the unique spectral signature of the vegetation and to detect the presence of possums (Trichosurus vulpecula) and the damage they cause. UAVs could then be deployed to precisely distribute either toxins or kill traps to these identified locations. 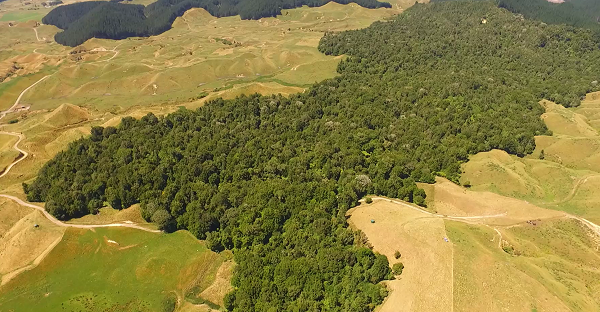 Predator-free 2050 is an ambitious policy announced by the New Zealand Government where several pests, including possums, are to be eradicated by the year 2050. In order to achieve this goal, pests must be identified, targeted and controlled, requiring creative and novel ideas. UAVs provide flexibility, can fly in remote and difficult terrain, and are considerably cheaper to purchase and operate than the planes and helicopters currently used in conventional aerial pest control operations. A directed and targeted approach using UAVs is an additional and novel tool in the pest management toolbox that could significantly reduce pest control costs, cover inaccessible areas not receiving any pest management.